While travelling it’s sometimes useful to know how your connection is doing. When nothing is loading, or connections timing out, getting a quick snapshot of the connection health will tell you how bad it is, and give you an idea of how soon you will be up and running agian. 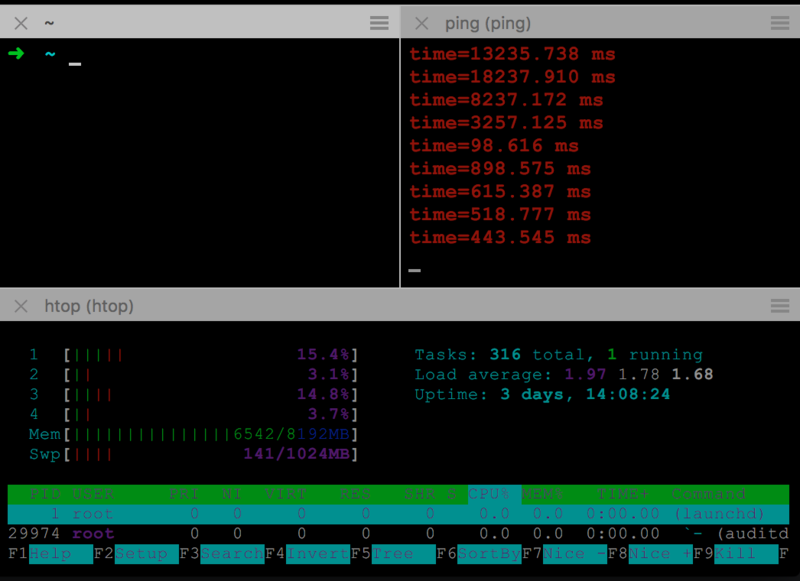 ping -i5 8.8.8.8 | grep --line-buffered -o -E -e "time=. *$" -e "timeout"
Here we use ping to send an ICMP request to Google’s DNS server 8.8.8.8 every 5 seconds. By piping standard out to grep with the --line-buffered option we can grep the continuous output stream and, by using -o, showing only the matches.